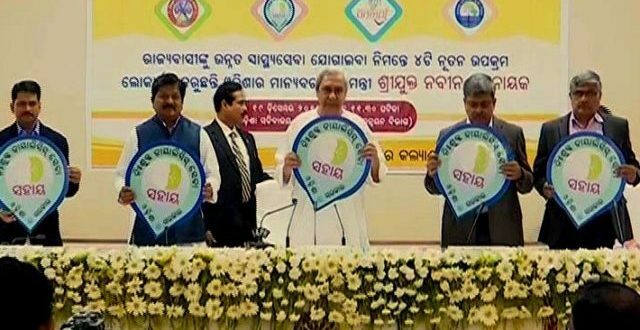 Bhubaneswar: Odisha Chief Minister Naveen Patnaik on Tuesday launched four health care services for the benefit of the general public. The schemes are Nidaan, Sahay, Ama Clinic, Anmol. Nidaan: The state government has decided to provide identified diagnostic services free of cost to all patients in the public health facilities of the state from January 1, 2018. Besides, additional diagnostic service such as high-end pathology tests, digital X-ray, CT scan and MRI will be provided free of cost in government facilities in PPP mode by March 2018. The diagnostic services under “Nidaan” include general pathology service and 15 types of high-end pathology tests, CT Scan, MRI and teleradiology of x-rays (digitization and reporting) both through own system and PPP mode in identified government facilities. List of assured services for all category of health institution out to sub-centre has been finalised, covering all minimum essential services. 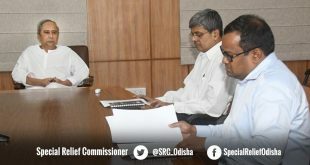 The CT scan services will be available at 9 DHHs (Mayurbjanj, Baleswar, Koraput, Angul, Keonjhar, Puri, Sundergarh, Kalahandi, Bolangir) and MRI services at 4 DHHs (Angul, Balasore, Mayurbhanj, Puri) in the first phase. Similarly, teleradiology of x-ray (digitization and reporting) services will be made at 149 selected facilities, where x-ray machines are available and radiologists are in position. Sahay: The state government will provide free dialysis service to all patients in the public health facilities from January 1, 2018. 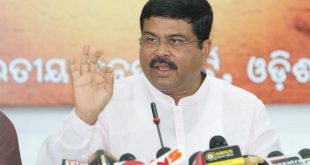 127 dialysis machines will be installed in PPP mode at 25 district headquarters hospitals and one community health centre at Narasinghpur in Cuttack district by March 2018, said Patnaik. The state government has made a budgetary provision of Rs 600 crore over five years to provide free diagnostic and free dialysis services in the state. Ama Clinic: Additional services in urban clinics including fixed day specialists services in Obstetrics and Gynecology, Paediatrics, Medicine and Geriatrics, Eye-care, Physiotherapy and Psychiatric services will be provided. 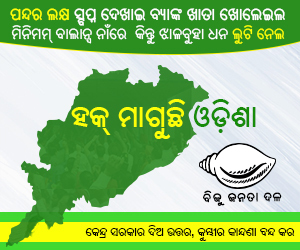 Urban population over 45 lakhs in 27 towns will be benefited under the scheme. Under Ama Clinic, the packages of services will be rendered in the OPD timings at 85 UPHCs in 27 cities in a phased manner. These specialist services include obstetrics and gynaecology, paediatric, nutritionist, medicine, geriatric, adolescent services, psychiatric services, ophthalmology, and physiotherapy services. The other services under Ama Clinic are diagnostic services, drugs and family planning services. Anmol: With a view to equip the ANMs with the latest technology, the government has decided to provide the ANMOL tablet computers to all the ANMs. It will help in providing real-time service to the beneficiaries, especially pregnant women, mothers and newborns in the state. The ANMOL application will be implemented in 17 districts in the first phase. It will help in real-time tracking and real-time service provision to the beneficiaries in the long run and prove to bring better health care services to all registered pregnant women, mothers and newborns in the State.